Technically speaking, this bag is perfect! It offers a separate padded laptop compartment that’s easy to access, plus a front pocket that’s a perfect fit for a tablet. The roomy interior features plenty of room and extra organization, including multifunctional pockets and pen holders. 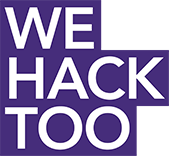 B~STEM Project is pleased to launch We Hack Too powered by Microsoft - For Girls, a 48 hour virtual hackathon that will allow young girls and women to engage, learn and grow around coding and business. The hackathon will begin on Friday, June 24th at 12:00 a.m. PST through Saturday, June 25th at 11:59 p.m. PST. Participants are both high school and college level girls who will compete in teams consisting of three members. It’s okay if you don’t already know how to program or code! We will be evaluating teams for “skill diversity.” It is preferable for each team to have one member who is familiar with coding however other team members should have interest in other disciplines i.e. visual design, business, project management or industry specific interest. The 48 hour virtual hackathon includes a 1-day invitation only multi-city event. Everyone must register and complete the entire 48 hour by submitting both their prototype and a pitch deck presentation (10 pages max) that shares the viability of your product i.e. customers, marketability, competition, unique value proposition. Your team's project should adhere to We Hack Too's theme of creating solutions that empower and build local and/or global communities. There will be two winning teams nationally, one at the high school level and another at the college level. The invitation only, 1-day multi-city event is inside select Microsoft stores (Los Angeles, San Diego, San Francisco, Chicago, Detroit, and NYC). The event is a Product Development & Design Incubator geared towards guiding students in building a presentation deck that lays out the team’s business model and go-to- market strategy. It’s also an opportunity to work alongside mentors and team members in creating their prototype. At the close of the day each team will pitch their ideas to industry leaders who will rate the viability of the idea and offer insight. Athough there will be winners at the local level, participants in this event must still complete their prototype to be submitted at the close of the 48 hours for national consideration. All entries to the 48 hour hackathon must be submitted by June 25 at 11:59 p.m. PST, prototypes and pitch presentation decks will be judged at the end of the submission period based on criteria listed below. The judging panel will consist of business and tech leaders. Please go to www.bstemproject.org for more details! This hackathon is open to: high school level or college level girls around the world. Again, you are not required to know how to program or code! We will be evaluating teams for “skill diversity.” It is preferable for each team to have one member who is familiar with coding however other team members should have interest in other disciplines i.e. visual design, business, project management or industry specific interest. Registration for the virtual hackathon will close on Tuesday, June 23rd. If you live in one of these areas and are interested in this multi-city one day event, after you form your team please register it at We Hack Too - Team Sign Up. We will be inviting teams to this one day event on a first come, first serve basis. You will be notified no later than Friday, June 17th if you have been selected. Participation is by invitation only and you will be contacted via email or phone if your team has been selected. We will invite 5 high school and 5 college level teams. We will also have a waiting list in the event an invited team is unable to participate. All projects must be built from scratch during the time of the hackathon challenge. To be considered for judging, each team must submit a project prototype by 11:59 p.m. PST Saturday, June 25th. If you need any idea starters for projects, see our discussion board. If you have some, feel free to add! Step 1: Register for the challenge here on our Devpost page by Tuesday, June 23rd. Step 2: If you don’t have a potential project idea, be sure to come back to our Devpost page and check out the Participants tab frequently. Look through the other participants' projects. If you find one you would like to be a part of then send a message to the participant. Step 3: If you don't know any coders or those with business, marketing, design, etc. skills, then look through the participants and see if there is anyone of interest. Contact them and inquire about forming a team. Don't be shy and be sure to come back and look daily. Also post on our Discussion Board what you're looking for so that someone can connect with you. Step 4: If you live in near San Francisco, San Diego, Los Angeles, Detroit, Chicago, or NYC and our interested in attending our one day event, please follow our instructions under "Eligibility"
Does the prototype work correctly and is the hack technically interesting or difficult? How intuitive is the experience? Would the intended end user find the application easy to use and understand? Is the design clear and simple and also aesthetically pleasing? How well is the market understood, competition and need? How clear and realistic is the strategy to gain and keep customers? How will money be made and is the product scalable? Is this a new idea? Does technology like this already exist? How innovative is this concept for building and empowering local or global communities? What would users gain from their experience using this project? Does it fulfill a real need people might have? How well was the product presented? Does your pitch deck clearly articulate what your prototype accomplishes? Are there a variety of skill sets and disciplines represented in the team dynamic?